Shallow Cogitations: What's The World Coming To? I found the mail where Kathy left it on the kitchen counter and saw this as I browsed through the stack. My first thought was, "What the hell? Did Kathy get on some bizarre mailing list or something?" I flipped it over and saw it's an ad for blush makeup. 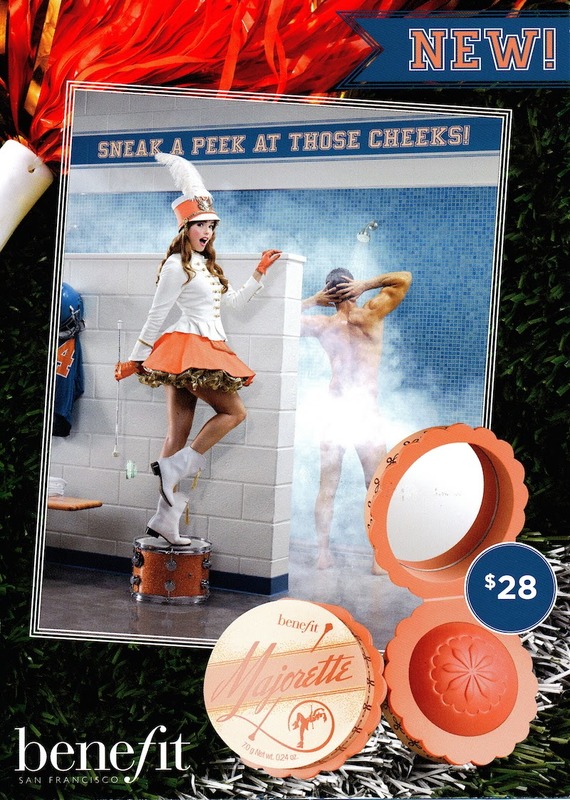 It says, "SNEAK A PEEK AT THOSE CHEEKS!" You see what they're doing there? They're objectifying men. The nerve!